Kodi, as most of you know, is an ultimate open source software for streaming things from the internet. There are numerous advantages of KODI, which I cannot sum up in one sentence. But the best one is that it can be used to stream video on almost every device. Previously we had written a tutorial on installing KODI on firestick without pc. Now, for those who are done with the installation of KODI on firestick, we have a step by step guide on how to use KODI on firestick. 1 How To Stream Movies On KODI? 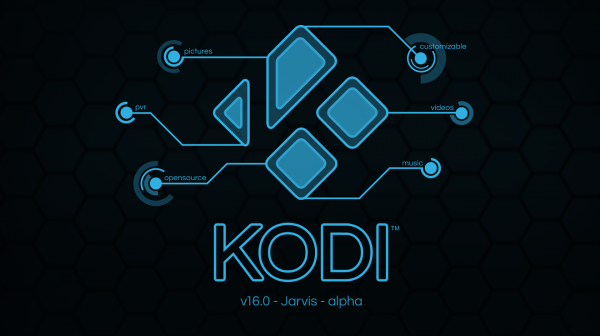 KODI is a new name given to the XBMC (Xbox Media Center). Since XBMC involved hardware configuration & KODI doesn’t the name was changed to match the product. KODI delivers best results when streamed on Smart TVs with a large screen. HD streaming is the reason, which makes the picture quality impeccable. Moreover, KODI is an open source software, for which new add-ons are released regularly. And above all, everything including KODI is completely free to use. KODI, I would say, won’t be much use without proper add-ons. One should be looking forward to installing the best KODI add-ons to make the most out of it. We will here, use the most popular KODI add-on, Exodus to explain how to use KODI. Most of the add-ons work more or less the same way. Guides to install the best KODI add-ons are, however, available on our blog which you can refer to. Don’t stress much if you aren’t able to understand what an add-on is, you could relate KODI to a smartphone and add-ons to the apps which we install in a smartphone. For more information, you can also see our article on how to jailbreak an amazon firestick. Related Articles How To Install KODI On PS4? How To Stream Movies On KODI? The first step is to launch KODI. To do this go to Settings>>Manage Installed Applications>>Select KODI & then Launch Application. This will initiate the start of KODI. On the screen will be a horizontal menu & options like Videos, Music, Programs, etc. Within every option, you’ll see “File” & “Add on”. We’re interested in using Add ons. In this tutorial, we will talk about watching videos or movies or TV shows, using add ons for KODI. So follow the steps given below. Under Videos, click on “Add On”. Install Exodus for KODI. (Check our guide & come back here). If you don’t want to install KODI, simply choose any other add on. Under add ons, you’ll get many options. Movies, TV Shows, Channels, etc. If you go under Movies, you’ll further get options. Latest Movies, Genres, People Watching, etc. Here you can make your choice and select any one of them. After choosing it, a list of movies will appear on the screen. Simply select any one of the movies and click on them to start. There will be many streaming links for watching a single movie. Most of them would be working, but you could try another if one doesn’t. Trust me you if you’re doing it first time, you’ll be amazed by the HD video quality. It’s actually pretty simple. Now, I know what everyone will look for after this. Subtitles. Yes, for many people Subtitles are a must thing while watching a movie or any TV Show. So we have already listed the best KODI subtitle add ons in our article. Take your time to through them and then come back to resume the tutorial on using KODI. Tutorial above remains same for watching TV shows on KODI. In the step 5, instead of Movies, select TV shows and then dig deeper as per your convenience. Just like Exodus, there are many add ons available for KODI. All of the add ons have a huge collection of Movies, TV Shows, Music, and much more for entertainment. In case you’re a sports fanatic, then you should check out our articles on best KODI sports add ons. Using those add ons you could watch all the sports matches live HD streaming on KODI. Also, you could try various add ons as an experiment and find something new every time. Add ons are basically lifeline of KODI. Wookie Wizard is another my personal favorite add on for KODI. You could check out the tutorial to install wookie wizard on KODI. Most of the TV channels can be streaming HD using these KODI add ons. We would end our article & tutorial on using KODI here. I hope you learned at least a thing or two about using KODI here. We have also embedded a video demonstrating the usage of KODI on firestick live for more clear understanding. So in case you don’t get a good idea after reading our tutorial, check out the video tutorial of using KODI below.